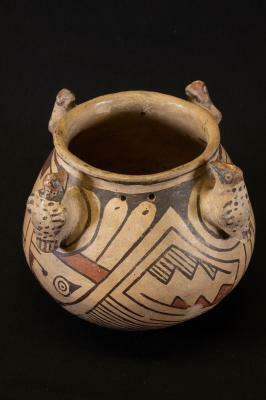 : This pot comes from the Casas Grandes region of northern Mexico and depicts four small birds around the brim that are likely Norther Flickers (wood peckers). The artist included interesting details, such as two of the birds that sit across from each other have collars around their necks, while the other pair does not. 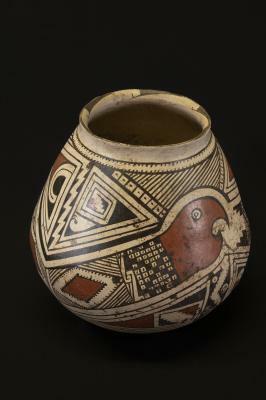 Figures that represent macaws (parrots) are also painted on the vessel. The vessel dates to around 1350 A.D.